The bike link necklace represents the power of the individual and is a reminder to find and follow your purpose. For those who have lost a loved one to suicide it reminds us of that we are not alone in our grief and in community we find strength. 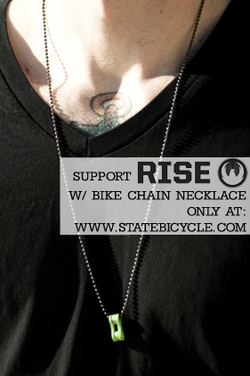 To Purchase your RISE Bike Link Necklace click on the picture to the left.